Which Billers can I register for? How do I stop receiving an invoice into my Xero account? Why is my Xero account showing there is a problem connecting? When I search for a mailer I get an error message? How do I connect more than one Xero Organisation? If I have multiple Payreq Organisations how do I switch between them? How do I contact Payreq support? How do I contact Xero support? When there is an authorisation error connecting to your Xero account. See screenshot below. 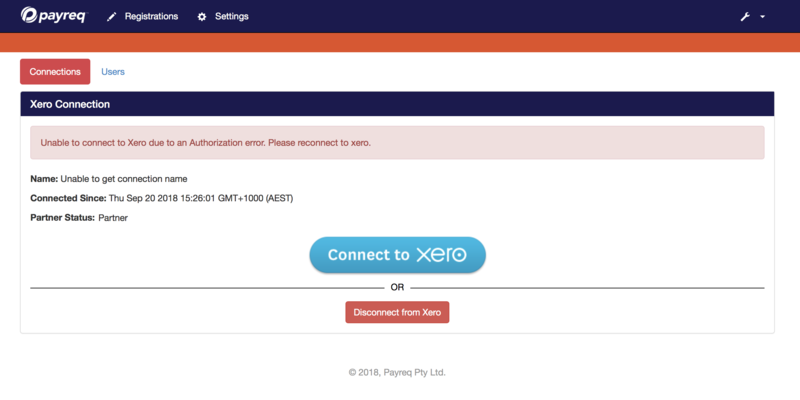 Please select to either reconnect or disconnect your Xero account. When I search for a biller I get an error message? 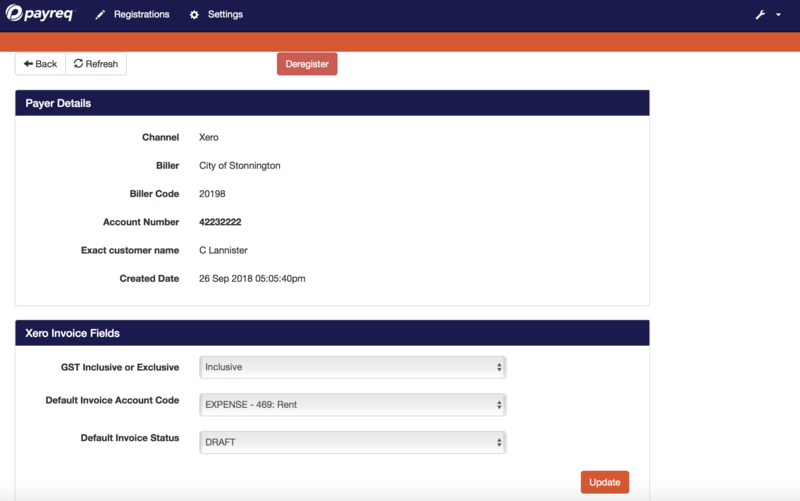 When I search for a biller by BPAY Biller Code I get an error message 'Unfortunately the biller code entered is currently not serviced by Payreq'. When registering for Payreq MyBills a single Organisation will be created that allows one Xero Organisation to be connected. To connect additional Xero Organisations you will need to add a Payreq Organisation for each Xero Organisation. c. After adding a new Organisation click on the new Organisation in the list. d. Click Settings in the top menu and connect to the related Xero Organisation by clicking the 'Connect to Xero' button and following the authentiation workflow. 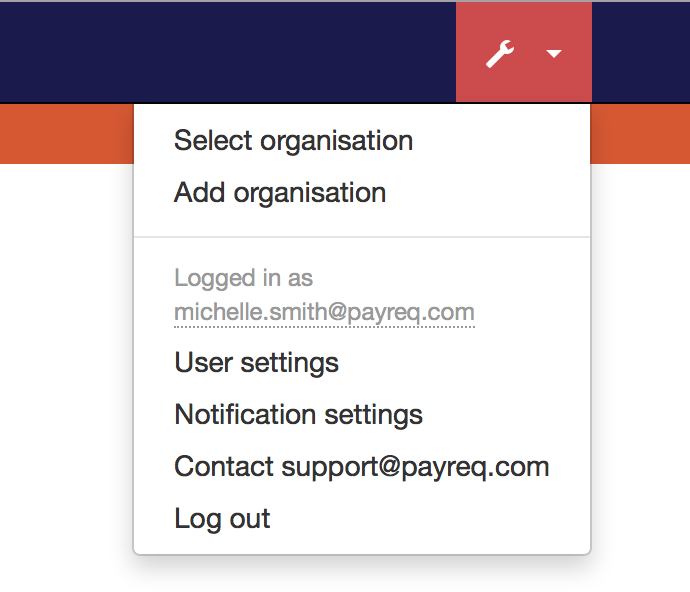 To switch the selected Payreq Organisation click on the Organisation name in the top menu. This will display your list of Payreq Organisations, then click on the desired Organisation in the list.